I recently visited Yosemite National Park. I was fortunate to be there before they closed the Valley due to the fires. It was quite an experience. I have been blessed to travel on six continents and see many marvelous sites. And Yosemite is right up there with the most must-see destinations in the world. 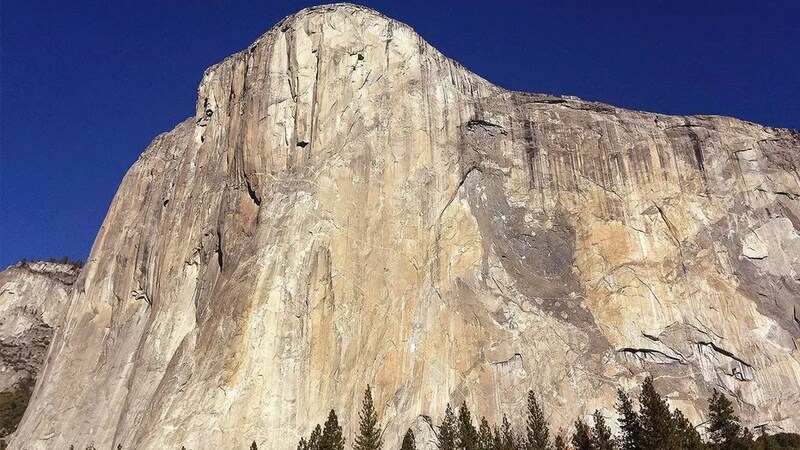 The massiveness of El Capitan is remarkable, the height of Yosemite Falls is gigantic and the uniqueness of Half Dome is striking to behold. Seeing all of this in person leaves you awestruck. And it is exactly the experience of awe that is so powerful. Awe is the feeling of being in the presence of something vast or beyond human scale. It transcends our current understanding of things. Awe is an electrifying experience that can positively impact our lives. It causes us to be in the moment. And awe-inspiring moments can happen anytime. You don’t have to visit some amazing site to experience it. You can view a sunset or gaze at the stars. Awe can happen in everyday experiences. The generosity of a friend, the kindness of a stranger, a walk in the woods can leave you awestruck. Here are four ways experiencing awe can make a huge difference in your life. Fear triggers the “fight or flight” response in us but awe triggers the “pause and ponder” response. Awe experiences cause us to become still and attentive. Then we are more open and receptive to details and new information. Awe happens when we encounter something so vast that we can’t really wrap our mind around it. This experience of having our mind blown forces us to find out more information. We become more curious and have a greater desire to learn new things. Walter Isaacson in his book “Leonardo Da Vinci“ tells about Da Vinci’s relentless curiosity. He focused on whatever caught his eye and this allowed him to see what others did not see. And to create masterpieces like the Mona Lisa and the Last Supper we enjoy to this day. Experiencing awe may be the key to solving a huge problem. Your mind will open up in ways it hasn’t previously. Einstein described feelings of awe as, “The source of all true art and science.” An amazing breakthrough may come as a creative solution is revealed after being awestruck. Understanding awe and intentionally experiencing it will make you happier. When something is awesome it means it is special and unique. We are filled with wonder and our soul is lifted. But we can’t experience awe if what we’re seeing is always the same. We need to change our physical location or space. Purposely doing different things is vital. Try watching something different, try listening to something different and see what happens. When we are looking for God working we will find it. God does awesome things in many different ways. Just make room for Him to work in your life. Miracles happen and they are awe-inspiring. You can encounter Jesus and when you do you experience joy and happiness. Jennifer Stellar at the University of Toronto has shown that experiencing awe reduces levels of cytokines, a marker of inflammation linked to depression. Other studies reveal that exposure to the awe of nature results in lower blood pressure and stronger immune systems. Beauty demonstrates symmetry, proportion and other harmonies that illustrate health and wellness. Experiencing beauty prompts us to retain it. Even to take a picture of it and post it for others to see. Dacher Keltner and Craig Anderson at the University of California, Berkeley Social Interaction Lab works with veterans experiencing PTSD. As the vets have had awe-inspiring experiences in nature their health has improved. Their stress levels decrease, their sleep is better and their overall well being and life outlook improve. Being awestruck displaces our ego and self-centeredness. It replaces us as the center of everything. Seeing a beautiful cathedral, a star filled sky; a pristine beach helps us to see we are a part of something much larger than ourselves. Beauty causes us to appreciate others and not just treat people as objects to be manipulated or obstacles to avoid. Awe helps us to feel more connected to family, friends and our community. Last year at this time there was the awe-inspiring solar eclipse. It brought people together as they all looked to the sky to witness a once in a lifetime event. Awe can lead to greater collaboration and that can lead to marvelous breakthroughs. Projects get accomplished, problems get solved and great work is done. When people work together and get along it increases our social well being. But you don’t have to visit Niagara Falls or the Grand Canyon to experience awe. Even if you haven’t touched a newborn baby’s hands or looked at the ceiling of the Sistine chapel you can still be awestruck. Paula Spencer Scott reported in Parade magazine that we experience awe 2.5 times a week. There are everyday ways to experience awe. Try putting down the devices and noticing things you’ve been missing. Check out a museum or planetarium. Get up early and watch the sunrise. Visit a local or state park. Look for God to work in your life. What we think is luck, coincidence or fate is something else. Miracles happen more than we realize but we miss them because we are not looking for them. God may intervene in your life in a transformative moment. And when he does it is awe-inspiring. The positive impact of experiencing awe is enormous. Intentionally pursuing it will change your life for the better. Start searching for awe today. Rick McDaniel is the author of the recently released book “Turn Your Setbacks Into Comebacks.” He is also the founder/senior pastor of Richmond Community Church in Richmond, VA. You can find him on Twitter at @rickmcdaniel.